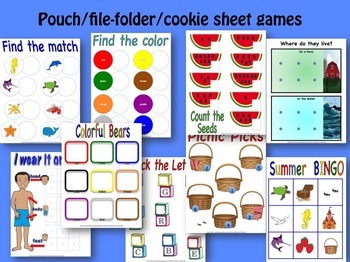 Summer theme of beach, watermelon, hiking & picnics. 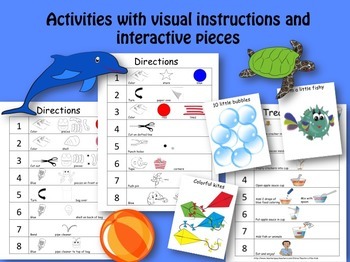 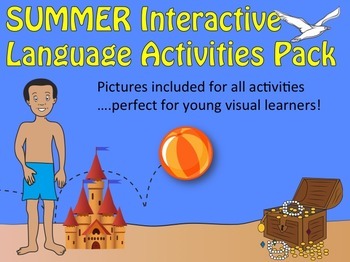 This is a set of activities to be used with visual learners such as Pre-K, Special Needs or English Language Learners. 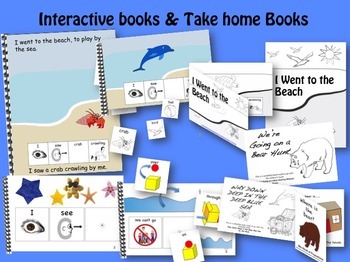 The set includes interactive stories, Little Interactive Books, Pouch/Filefolder/cookie sheet games, crafts and recipes with visual step by step directions and flannel board, and sequence activities for favorite summer children’s books-Way Down Deep in the Deep Blue Sea and We’re going on a Bear Hunt.